One of the best things about the digital age is the ability for any passionate woman to establish her own business. Beauty brands no longer have to rely on a high street stockist to make their products available to the masses; at the click of a button we can order every kind of product imaginable, created with love, passion and knowledge that often isn’t available on the shelves of a department store. 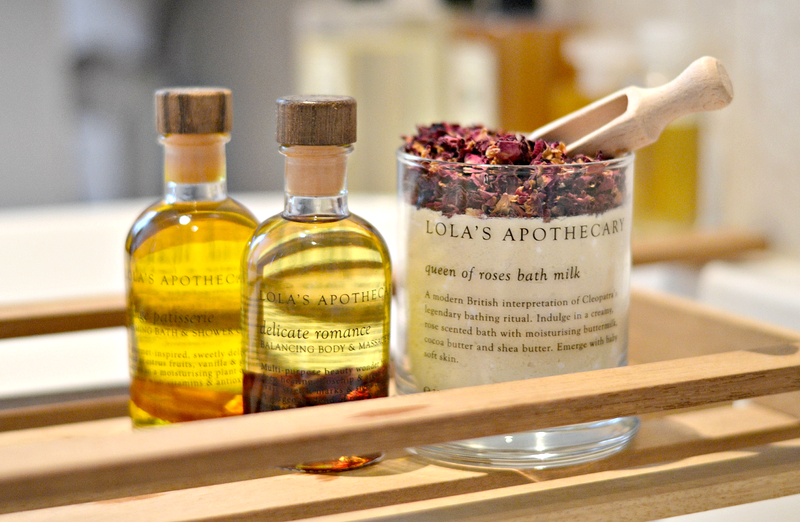 Lola’s Apothecary is the perfect example of a brand born from a unique and colourful passion, making cleansing and bathing rituals a little more relaxing and indulgent. I’ve featured the beautiful products on my site before and have taken great pleasure in dropping a little of their concoctions into a steaming hot bath, so the launch of my ‘Ten Minutes With’ series seemed like a great opportunity to revisit them again. Founder Lola has kindly let us into her world for a peek behind the curtain at one of the future’s hottest names. I co-run Lola’s Apothecary, a natural beauty and wellness brand based on a picturesque farm in Devon. I like to dance, cook and laugh. I’m good at making pretty, smelly things that make you bloom like a flower. It was a weekend hobby that blossomed into a business, rather serendipitously, via French Vogue who discovered our fragrant things. My co-founder Dominic and I found ourselves suddenly inundated with orders. Being adventurous souls, we quit our day jobs and moved to his family farm in Devon to begin our little kingdom that is Lola’s Apothecary. Every kingdom needs an airy queen, I fit the bill being a tutu wearing swan, and got the job. There is no typical day in the life of a rose! I suppose there are daily fixtures such as emails and order packing, in between singing and silly dancing in the office. Food is always on my mind so I try to cook a hot, nourishing lunch. I’m often blending new fragrances and potions on-the-fly; occasionally we bottle some of our favourites and share them with the world. There is also a fair amount of kitty fondling throughout the day, with the resident little beasts. WHAT ARE THE BIGGEST CHALLENGES YOU FACE? Our brand is growing so fast in such surprising ways, that we are constantly running out of supplies to make the products; we scramble around to source ingredients that meet our quality and ethical standards. CAN YOU PINPOINT ONE PARTICULAR HIGHLIGHT TO DATE? Being invited to sit on the expert panel at The Mondrian London Agua Spa launch. I had a fabulous time, and met other inspiring beauty brand founders who were all very encouraging and warm. I used to think it’s the fact that I get to utilise my various interests in a very dynamic and creative way. Increasingly I think it is the lovely people I meet within the beauty and wellness industry that really make me say ‘thank you’ everyday. Does it make you want to get out of bed in the morning? 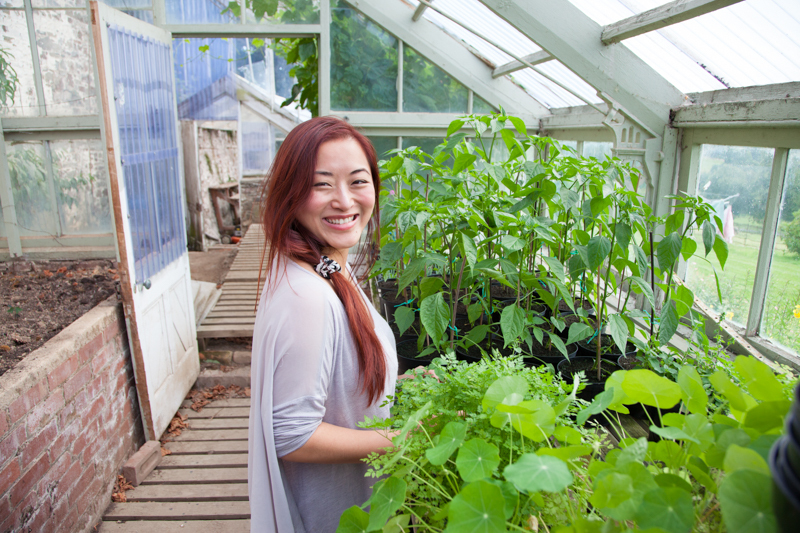 IF YOU WERE TO GIVE ONE PIECE OF ADVICE TO ANYONE INTERESTED IN YOUR FIELD, WHAT WOULD IT BE? Food first, as my mortal form needs sustenance – nutritious, colourful food that makes me feel pampered and replenished. And then, there’s nothing like a long soak in a warm aromatic bath to take off the world, followed by snuggling in bed to journal or meditate. Alchemy Super Blends Beauty Elixir.